The Main Event Kicks Off at 11 A.M.
A new day, a new tournament. Today will mark the start of the €1,100 Main Event in the JW Marriott Bucharest Grand Hotel. The Unibet Open is looking to crown a champion in this event on August 5th after three days of play. Day 1a of the €1,100 Main Event will play out over 11 levels of 60 minutes. There will be a break after every two levels and all the players will start with 30,000 chips. The registration of the tournament is open until the end of level seven and play will conclude at approximately midnight local time. 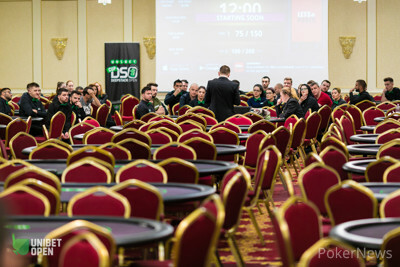 New at this Unibet Open stop is the option for the players who play Day 1a or Day 1b to re-enter the tournament and play Day 1c, a turbo version of Day 1 featuring 20-minute levels. The PokerNews team will be here in Bucharest to cover the event from start to finish.